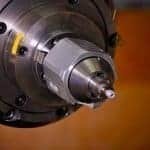 Bond Technologies offers a full line of Friction Stir Welding (FSW) machines, pin tools & accessories, custom engineering solutions and a host of services to help you integrate FSW technology into production. Let Bond Technologies help you find the best FSW solution for your application. For customer service questions related to your existing FSW machine by Bond Technologies, call us directly at (574) 327-6730.